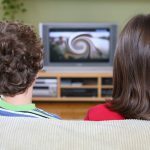 Many are unhappy with Switzerland’s compulsory broadcasting fee and a popular vote aimed at scrapping it is scheduled for spring next year. A recent survey done by the newspapers SonntagsZeitung and Le Matin Dimanche show 57% of those surveyed will vote to have the fee axed. 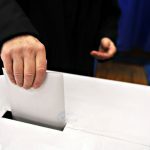 Only 34% were in favour of preserving the current compulsory system which charges households CHF 451 every year, falling to CHF 395 from 2019. In addition, 60% believe that the broadcaster would find a way to continue without the fee. The broadcaster on the other hand has said it has no plan B and would have to wind up its operations without the money the fees provide, a position confirmed by director Gilles Marchand in an interview, according to the newspaper. A survey in September found that 47% plan to vote in favour of it. A further 16% said they were undecided. Only 37% said they would vote against it. National counsellor Manuel Tornare (PS/SP) is concerned. He says that this is the second survey showing a possible majority in favour. He describes a successful vote as “seismic” and “even more serious” than the successful vote to stop mass immigration in 2014. He thinks people are unaware of the impact. He thinks it would have a negative effect on national cohesion and leave Swiss watching foreign channels such as Russia Today and Fox News. The vote is scheduled for 4 March 2018.